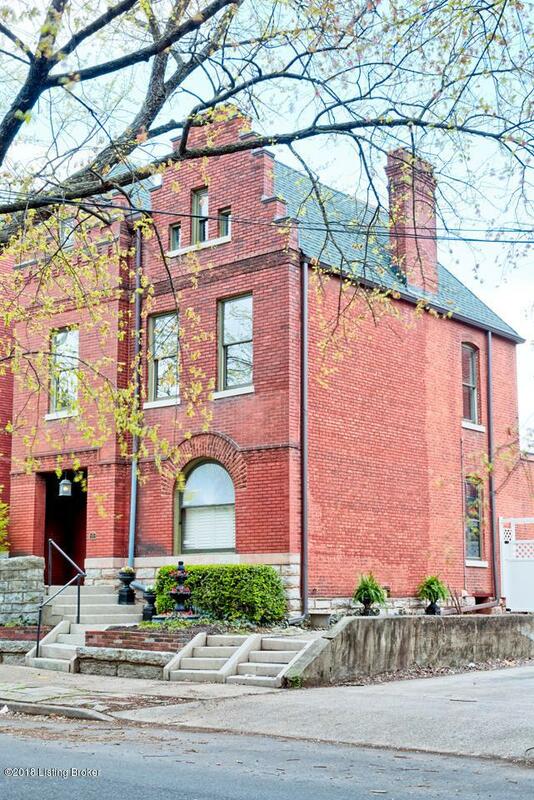 Beautifully renovated, historic brick Victorian home in Old Louisville offers nostalgia of yesteryear with modern day amenities. Centrally located to downtown, the Highlands, U of L campus, Churchill Downs and Central Park, this home offers amazing opportunity as a single-family home and/or income producing property. This 4/5 bedroom home with 3 baths has a very versatile floor plan with lots of living options. Hardwood floors throughout first and second levels. Banded oak flooring and pocket doors in living and dining room. A smartly designed kitchen boasts wood veneer cabinetry with chrome hardware and VCT geometric floor, stainless steel appliances as well as breakfast bar with pendant lighting. Bedrooms on second floor have bookshelves doubling as headboards. Quaintbackyard for cookouts and gatherings. One car detached garage. This is a must see.